Ported Box version of the SB1000 sub for the deepest, most detailed and authoritative bass you can get at such a low price. 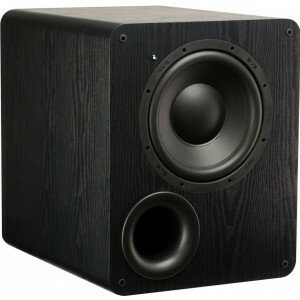 - Dimensions (HWD): 18.9" x 15" x 19.4"
SVS PB-1000 Subwoofer is an anomaly in the world of subwoofers. It plays below the levels of human hearing, down to 19Hz and lower, yet costs a fraction of what subwoofers with similar low frequency extension and output go for. Simply put, it’s the deepest, most effortless and authoritative bass at the price point. No subwoofer comes close to offering this level of low frequency performance value. This ported box home theater subwoofer with 10-inch high output driver and 300 watts RMS, 700+ watts peak power amplifier, the PB-1000 delivers ground-shaking SPL output and subterranean low frequency extension without sacrificing detail and accuracy. Driving the PB-1000 subwoofer is an integrated SVS Sledge STA-300D amplifier with a sophisticated DSP perfectly matched to the unique ported cabinet configuration, and an equalization curve optimized for enhanced transient response and room gain. Conservatively rated at 300 watts RMS and 700+ watts peak power, the Sledge amplifier maintains precise control of the subwoofer at all drive levels so you can push to reference volumes and maintain accuracy in frequency response. Challenge the PB-1000 with the most challenging musical bassline or soundtrack and it stays true to the source content without compromise. The advanced DSP engine also allows for fine tuning of audio playback and easy set-up and integration into any home theater or stereo system. When it comes to filling out the lower octaves of our favorite audio content, few, if any, subwoofers approach what the PB-1000 achieves for the price. 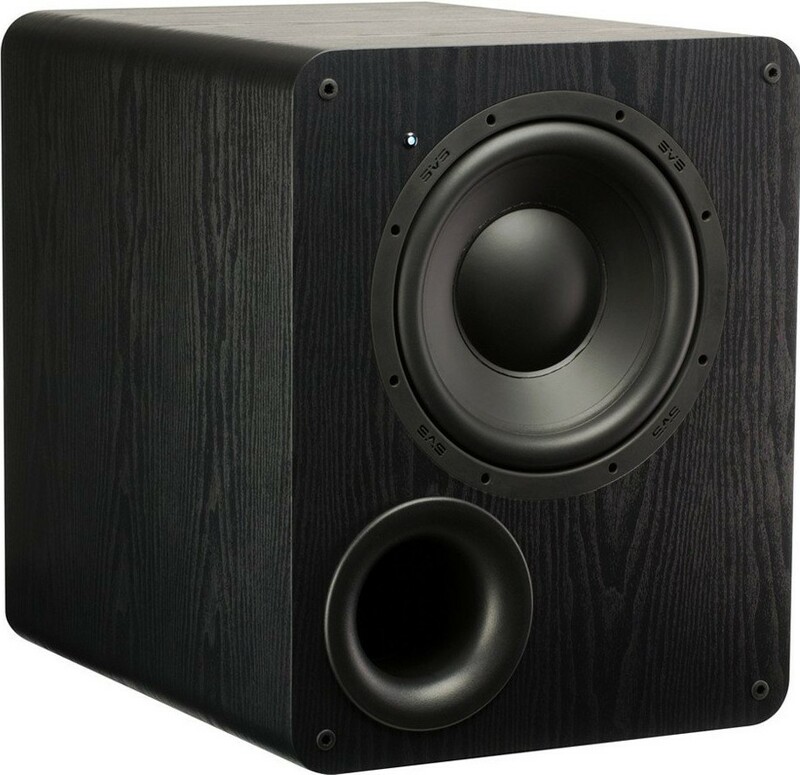 Its ability to convey the chest-thumping slam and room pressurizing LFEs, and also subtle and nuanced bass in music, TV and movie soundtracks defies expectations for a level of performance previously reserved for much larger reference subwoofers.